The Britten Sinfonia's 2016/17 season includes regular concerts in Cambridge, Saffron Hall (where the ensemble has a residency), Norwich and the Barbican (where it is an associate ensemble). Highlights include Thomas Ades conducting Beethoven, Barry and Ades, the European premiere of Gerald Barry's Alice's Adventures Under Ground, Mark Padmore in Bach's St John Passion and the premiere James MacMillan's Stabat Mater. Over three years, Thomas Ades will be conducting all of Beethoven's symphonies pairing them with music by Gerald Barry and by Ades himself. There was a fore-taste of this on August 15 when Ades and the orchestra performed Beethoven's Symphony No. 8 at the BBC Proms. As part of the orchestra's Barbican season it will give the European premiere of Gerald Barry’s Alice’s Adventures Under Ground, co-commissioned by the Britten Sinfonia, the Barbican and the Los Angeles Philharmonic Association. Other Barbican events include participation in the celebrations of Steve Reich's 80th birthday and John Adams' 70th. The ensemble will join with Harry Christophers and the Sixteen to premiere James MacMillan's Stabat Mater, and it will be joined by Mark Padmore for performances of Bach's St John Passion at Easter 2017. Mahan Esfahani will be returning to perform a programme of keyboard works by Scarlatti and Falla, plus a new work by Francisco Coll. 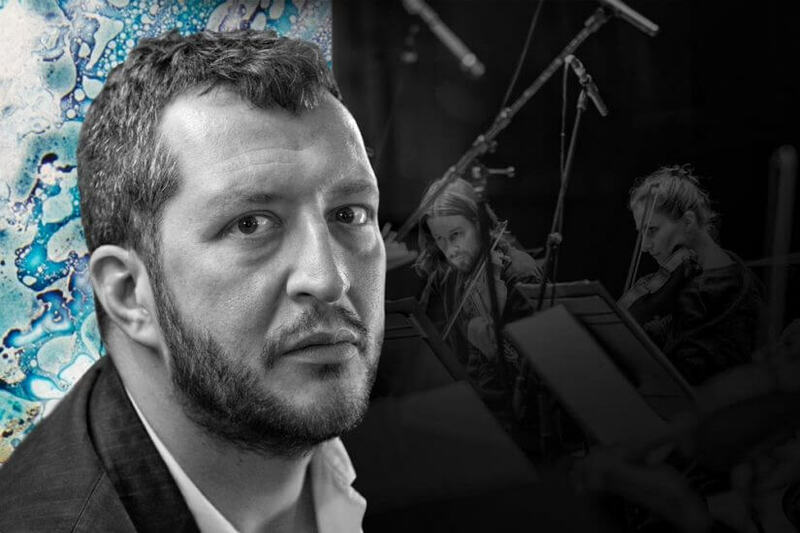 The orchestra’s At Lunch concerts include new work by Mark-Anthony Turnage, Elena Langer, Brian Elias and the winner (from over 500 applicants) of Britten Sinfonia’s OPUS competition for unpublished composers, Sohrab Uduman. From October 2016 the ensemble is resident at Saffron Hall where it will perform a series of concerts as well as developing with Saffron Hall a new model. Britten Sinfonia is throwing open the doors to rehearsals to the pupils of Saffron Hall County High School (home to Saffron Hall) and the Saffron Walden Centre for Young Musicians and providing opportunities for young musicians to work side-by-side with the orchestra, with further musical encounters planned throughout the season. Full details from the Britten Sinfonia's website, which has an all-new look.